Get your free chapter of “Freedom after the sharks”! Click here to get One free chapter from the book “Freedom after the sharks”. 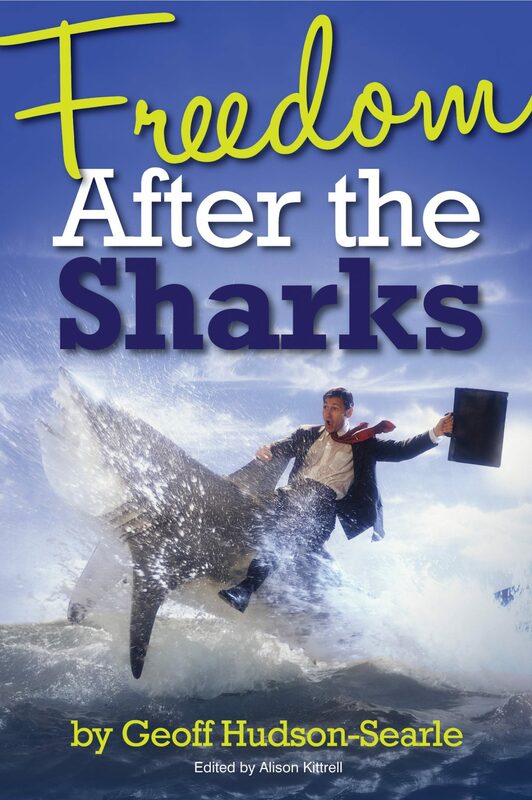 In his new book, “Freedom after the sharks”, Geoff tells the story of a man who, despite a difficult family life and professional setbacks, developed the determination, drive and skills to create a successful business and happy life. “Freedom after the sharks” shows how, even in a declining economy, a business can survive and even succeed. It covers some real-life experiences and offers some suggestions for dealing with problems and issues. It provides a guide to finding your way in the business world. Read the book? Liked it? Loved it? Please click here to help spread the word. Are you a journalist, blogger, the press? See our media page for all the resources you’ll need for a great article. Click here to get One Free Chapter from the book “Freedom after the Sharks” and if you want to win a signed copy, click here.